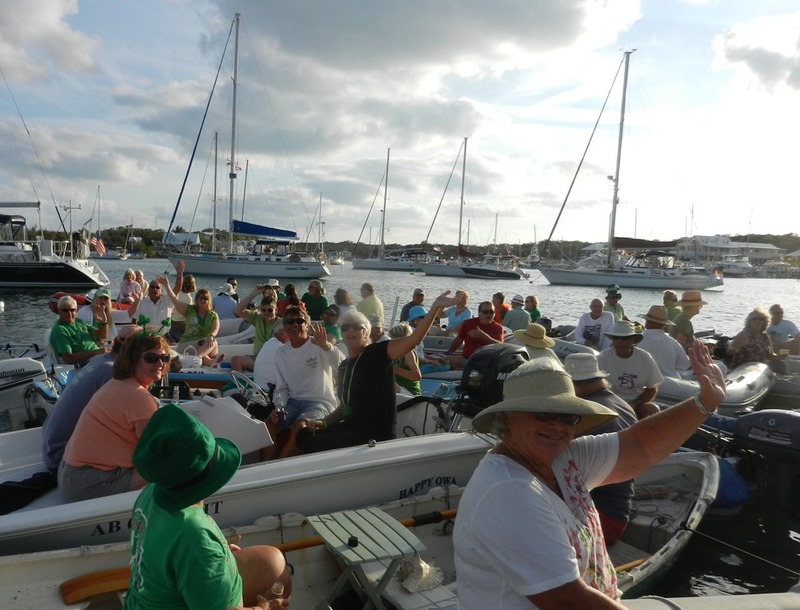 On St. Patrick’s Day in Hopetown Harbor, the cruisers get together for a raft-up, a/k/a dinghy drift, just before sunset. Dinghies converge at a pre-determined location – off the Post Office Dock – and tie themselves together. It’s a floating island. Thirty-two dinghies – each 8-12 feet long. 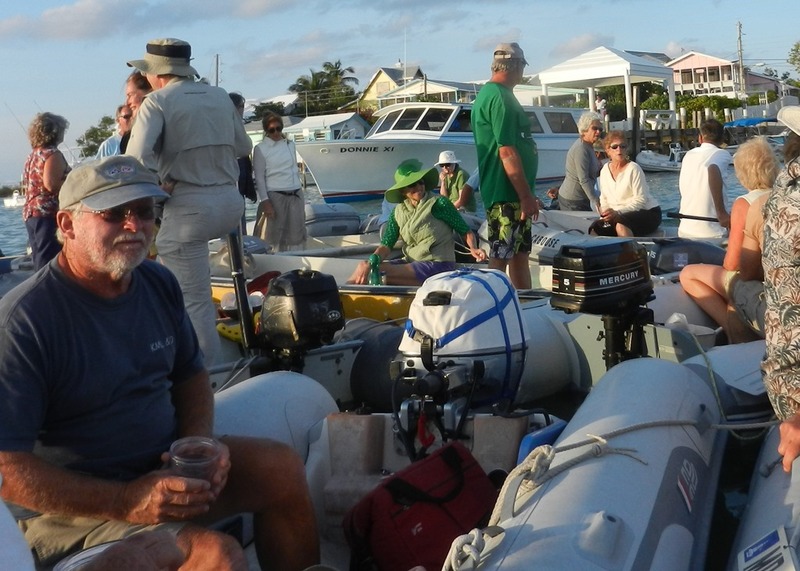 Once joined, the group of dinghies drifts with the wind – from the east tonight and light. People introduce themselves to each other and everyone has a lot of fun. I stand up in my dinghy and yell “Picture!” and people look at the camera and wave. We pass plates, bowls, baskets and trays of cheese and crackers, hummus and pita chips, goat cheese with chutney on crostini, smoked fish with bread slices, mixed nuts, and other treats from dinghy to dinghy while enjoying some wine – or possibly something more potent. 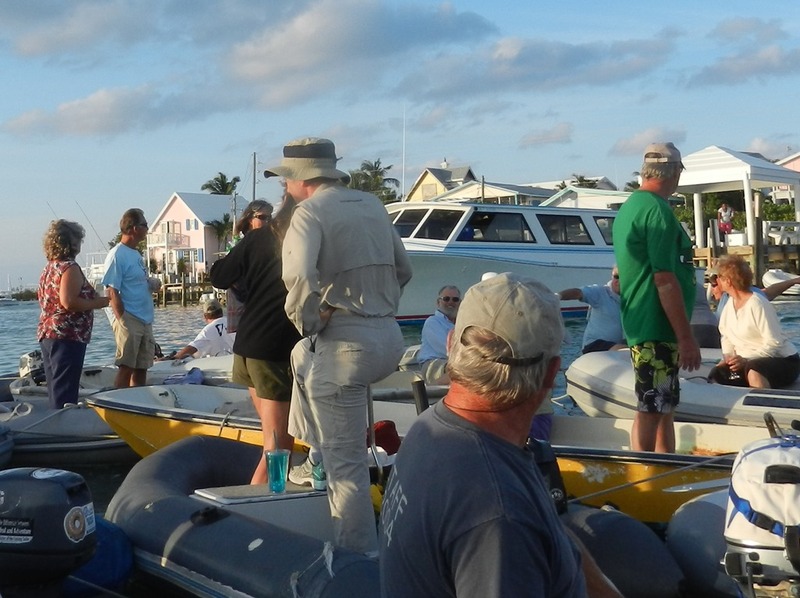 Every once in a while, one or more of the dinghies – sometimes it’s us – has to start its motor and guide the floating raft around a moored boat (or two) – we make it with two or three feet to spare. We finally clear the mooring field, but then the raft has to be pushed out of the way of the Albury ferry, trying to get to the Lower Public Dock. We’re pretty close. Everyone is watching, a bit worried. But the Donnie drivers are first-rate. When the ferry leaves, the passengers all wave and cheer. 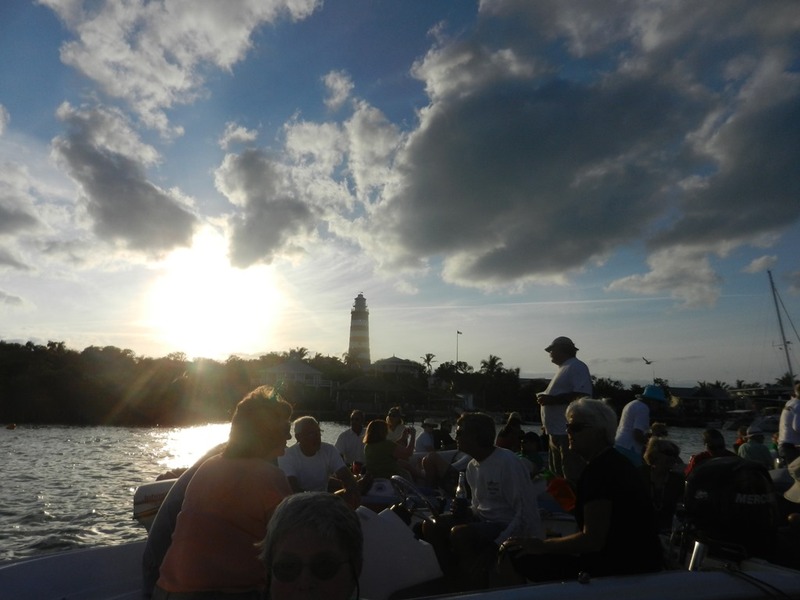 Munching, chatting, laughing, imbibing, we glide past the lighthouse, towards the setting sun. And just as we start drifting out the harbor entrance, the raft breaks up and the dinghies motor to their respective boats. Or to others’ boats. Or just tour the harbor, finishing their drinks. Fun. 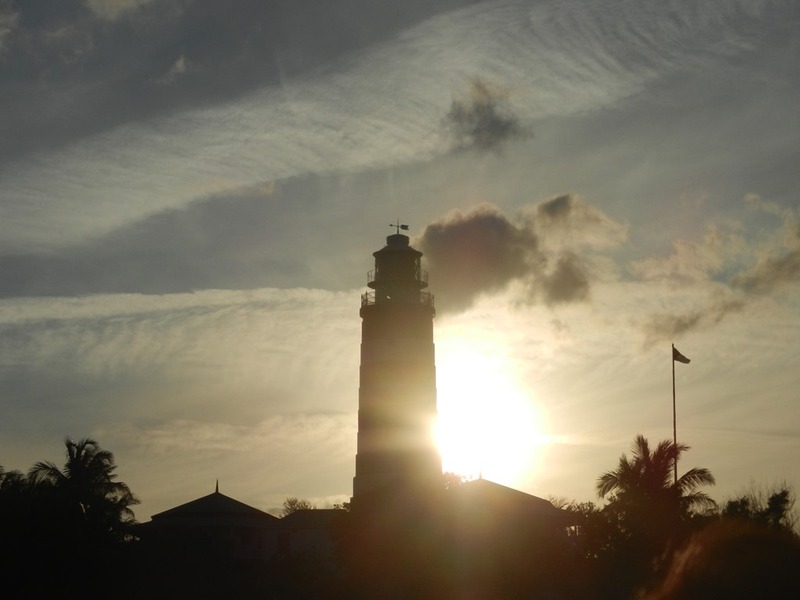 Sunset – time to blow the conch. It sounds great, I’m with you in spirit!